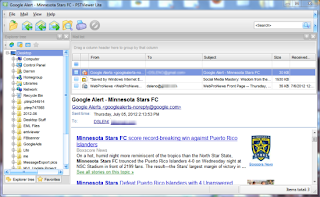 Files with the .eml extension are individual email files created by a Windows email client such as Mozilla Thunderbird or Outlook Express. .Eml files are formatted according to a published standard known as RFC-822. 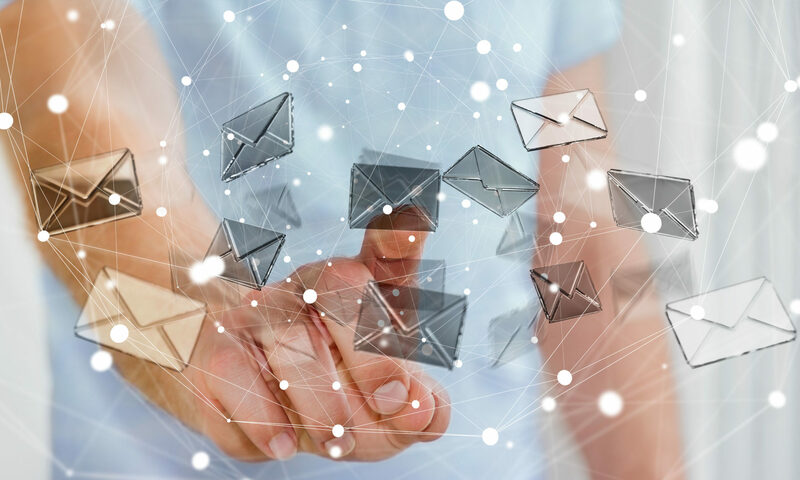 Opening these files is as easy as installing email client software; this will allow you to open them individually by clicking on the files. If you have thousands of .eml files, and you want to search them, or convert them to a different format (.pdf, .mbox, etc), then a more powerful and specialized software application like EML Viewer Pro (also known as PstViewer Pro) can be a big help to your project. Eml Viewer Pro provides quick view or full screen viewing capabilities. Paging through the emails in the mail list will preview the message. You will be able to view the .eml files in their full html or text formatting. 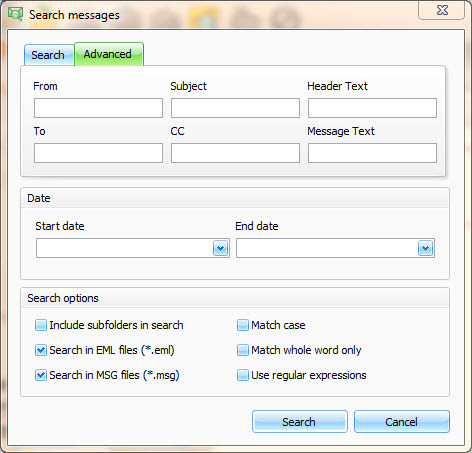 Hosted graphics are downloaded and displayed in the message. Double clicking on an email in the list will open it in full screen view for easy reading. You can have multiple emails open in full screen view. 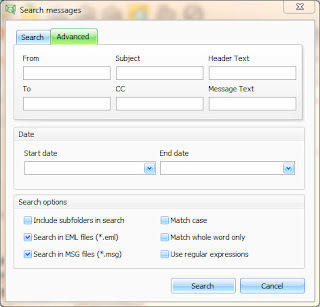 Eml Viewer Pro can search all of the messages in your list. You may have dozens or thousands of .eml files, and Eml Viewer Pro will search across them all for your criteria. You can set a date range for the search, or search across common email fields such as To, From, CC, or find specific words or phrases in the text of the email. The results are displayed in the mail list, so that you can export them or otherwise manage them according your project requirements. 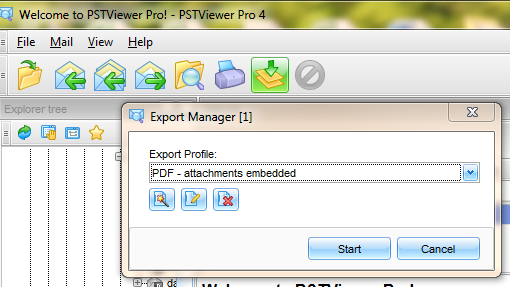 Dozens of export profiles are included in Eml Viewer Pro. These profiles are instruction sets that help you accomplish specific tasks, such as exporting your selected .eml fiels into pdf format. Many different formats are included, such as HTML, MHT, Text, MBOX, PNG, TIF, GIF, PDF, etc. To export messages, first select the .eml files you want to convert from EML Viewer Pro’s mail list. Next, choose the export profile from the drop down list (see below). To convert to PNG image format, for example, select PNG from the drop down list. Start the export process by clicking the “Start button” (see the pointer in the image below). PDF is a highly popular format for preserving email messages. Because of this, the software developers have given Eml Viewer Pro special functionality for eml to pdf export. Eml Viewer Pro can select export .eml files into the PDF/A email archival standard, which embeds the html fonts directly into the PDF file for accurate rendering, preserving the original look of the email. .Eml files can be converted into separate pdf files, or you can export multiple .eml files into a single large pdf file. 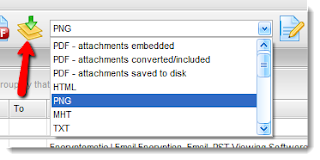 File attachments are always an important consideration when exporting email to pdf. Eml Viewer Pro has the ability to extract file attachments and save them to a folder on your hard drive, or you can embed the file attachments within the PDF file so they can be extracted later. You can also tell Eml Viewer Pro to attempt to convert the attachment into an image so it is visible inside of the PDF. If the attachment is not convertible, then it will be converted. You can try Eml Viewer Pro free for 15 days. 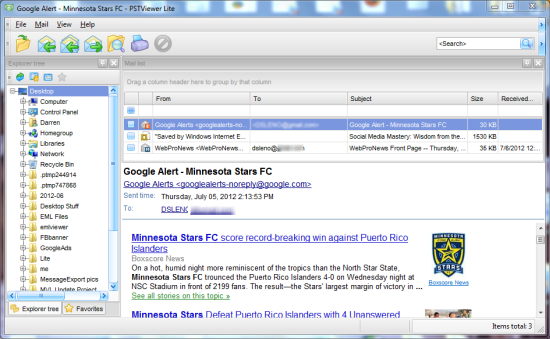 Download a free trial, and see how Eml Viewer Pro can help you manage your .eml email content. Awesome Tool and great postings.thanks for sharing it. 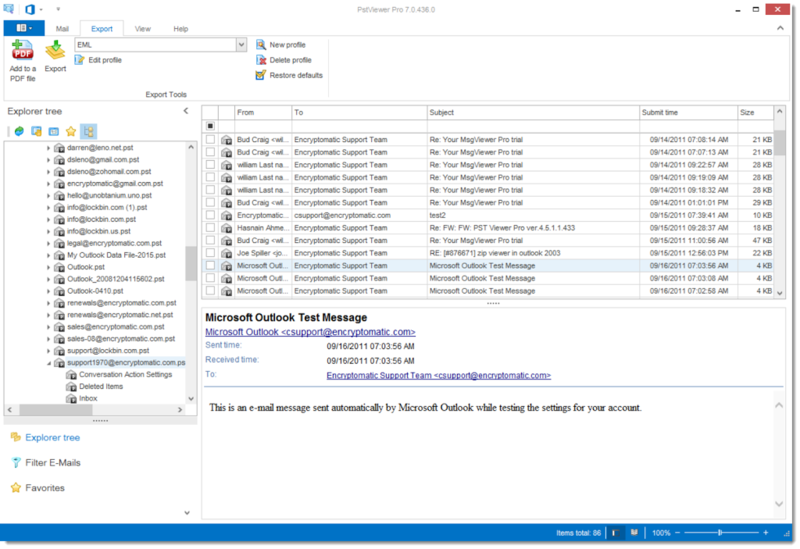 Next PostNext How to Convert Multiple .Eml Email Into Text Files?